Some traditional winter resorts are just as idyllic in summer as they are in winter, with the allure of snow being replaced by wildflowers and cowbells. Arabella Youens picks out six of the best. Generally speaking, France is strong on purpose-built resorts that are functional in winter but less charming in summer, while Austria’s picturesque villages tend not to have the altitude for guaranteed winter. There are exceptions, though – while several places in Switzerland pull off the trick of shining all year round. Split between two towns, Crans and Montana, with a lake in between, this is a proper year-round community – a testament to this is the new British day and boarding school catering for children aged 5–18. It was one of the earliest tourist destinations in Switzerland and is positioned on a sunny plateau at 1,500m (4,921ft). In the winter, a fantastic lift network offers access to all four valleys. Next year, the area will host the Alpine Skiing World Cup Ladies (March 1–4, 2018). One of the two golf courses, Cran-sur-Sierre, hosts the Omega European Masters tournament every September. ‘There is a number of family-orientated activities for everyone in the winter and the summer, which makes it a popular location for British buyers,’ explains Elyse Constantin of Alpine Homes/Chestertons. What you could get: This three-bedroom apartment is right in the heart of the resort with a lovely living room with open fire, and a balcony with breathtaking views. It’s on the market for £1.4m via Knight Frank. There are also continual updates to infrastructure. ‘In particular, the new V-Bahn project will see a dramatic improvement to the connection with Grindelwald,’ adds Rob. In the summer months, the Belle Epoque architecture helps make Wengen a picture-postcard mountain village. There are more than 310 miles of hiking and mountain-bike trails on offer, as well as paragliding, river rafting and canyoneering; tours to the impressive Jungfraujoch viewing point are a joy. What you could get: Almost at the foot of the famous alpine skiing World Cup run is this chalet with three bedrooms in a development called ‘Racers Retreat’. It’s a 20-minute walk from the village, and is for sale via Investors in Property at £640,000. At 1,800m (5,906ft), this car-free village boasts that rare combination of high altitude and charm. There is always something going on throughout the year, from the world ice-climbing cup in January to the Culinary Mile festival held in September, which sees pop-up restaurants and bars serve food and local specialities from the past and present. The Allalin glacier is open all summer and most of the national ski teams come here to train. 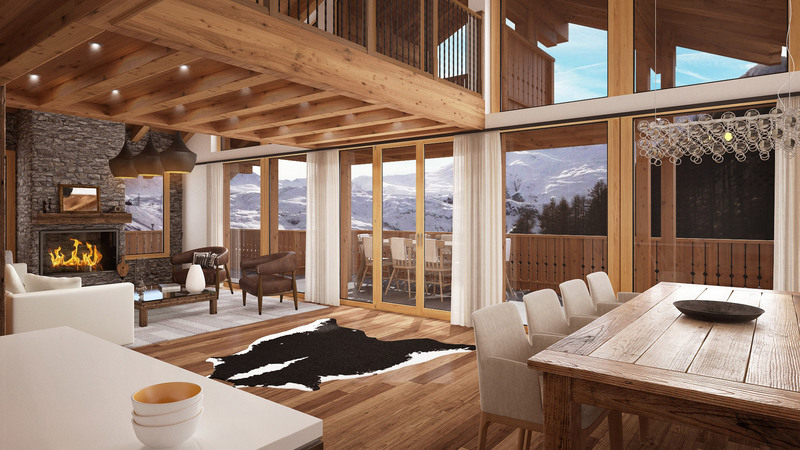 Saas Fee has ambitious plans to extend the lift system and the Spielboden Gondola was upgraded last year, according to Simon Malster, founder of Investors in Property. What you could get: There are three apartments for sale in this new development, Hohnegg Lodge, all of which boast geo-thermal heating, wellness facilities, a wine cellar and optional rental and hospitality services. For sale through Investors in Property, priced from £1.66m for a four-bedroom apartment. Most aficionados agree that Kitzbühel is Austria’s number-one dual-season destination. ‘This lively medieval town is full of attractive buildings and cobbled streets that are bursting with traditional Austrian charm,’ says Jessica Delaney of Alpine Marketing. In winter, the low altitude is countered by extensive snow-making machines and the lifts have seen considerable improvement recently; more than 60% now consist of fast chairs and cable cars. Kitzbühel plays host to a number of events throughout the year, including the world-famous Hahnenkamm Ski Race (January 16 to 21, 2018) and a four-day Snow Polo World Cup (January 11 to 14, 2018). The lifts are open throughout the summer, too. ‘They can whisk you and your bike up to the mountaintop in minutes, where you can enjoy freewheeling down – stopping at one of the many mountain huts for refreshments,’ adds Jessica. There are also four local golf courses on offer. What you could get: For just under £5.2m you could own the seven-bedroom Chalet Frederick, a short drive from the centre of town. It enjoys a wonderful hillside location with stunning views of the Hahnenkamm mountain range, and has its own spa and swimming pool. The Matterhorn has been drawing summer visitors to Zermatt for more than 150 years, but the resort has much more to offer than hiking, climbing and skiing. The cobbled streets and traditional buildings have some excellent restaurants covering all bases, from rugged mountain fare to Michelin-starred menus. Extensive snow-sure slopes, a few of which are open 365 days a year, provide some of the best skiing in the world. From December to May, you can ski on wide, sunny slopes all the way down into the Italian resort of Cervinia. Non-sporting events range from the Folklore Festival in August, for traditional Swiss music and dancing, to the Zermatt Unplugged music festival (April 10–14, 2018). What you could get: With wooden walls, fixtures and fittings everywhere, this £2.95m property is the very definition of the Alpine chalet with a lovely location above the town. It also includes an outbuilding for easy storage of skis and other gear. It’s on the market through Sotheby’s International Realty. Famed for its vielles fermes, this was first and foremost a farming village before Baroness de Rothschild set about establishing it as a ski resort in 1916. The centre is full of designer shops and smart restaurants and it also boasts one of the oldest and prettiest golf courses in the Alps. Each spring, the resort hosts an international jazz festival and, during the summer, a traditional food market takes place every Friday. The skiing is probably better suited to weekenders, but Chamonix is within easy reach. ‘You have a sense of space in the chalets – which are all tightly regulated – that you can find nowhere else in the French Alps,’ believes Knight Frank’s Roddy Aris. ‘Some of them are cathedral-esque in size.’ The other appeal is the year-round community, he adds. ‘Due to its position, Megève is very much a second-home destination for the Geneva crowd.’ In the winter, it hosts the annual Snow Polo Masters (January 18–21, 2018) and, in July, there’s a showjumping competition. What you could get: This five-bedroom split-level apartment has a south-west facing balcony and is close to both the ski runs and the Mont d’Arbois golf course. It’s on the market via Knight Frank for £1.1m.